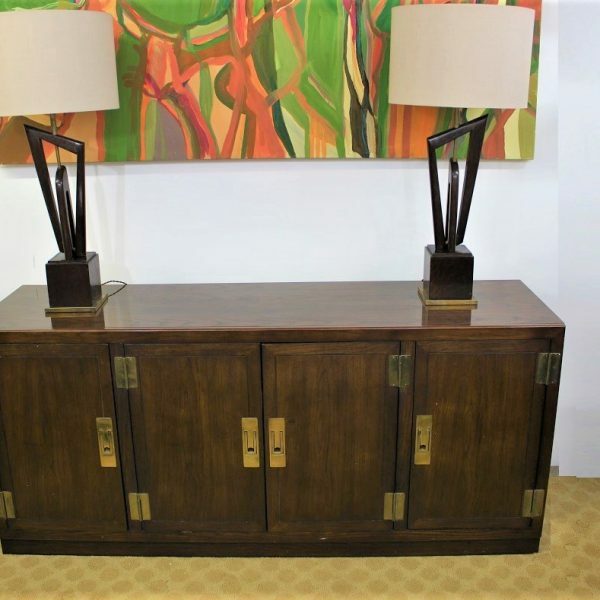 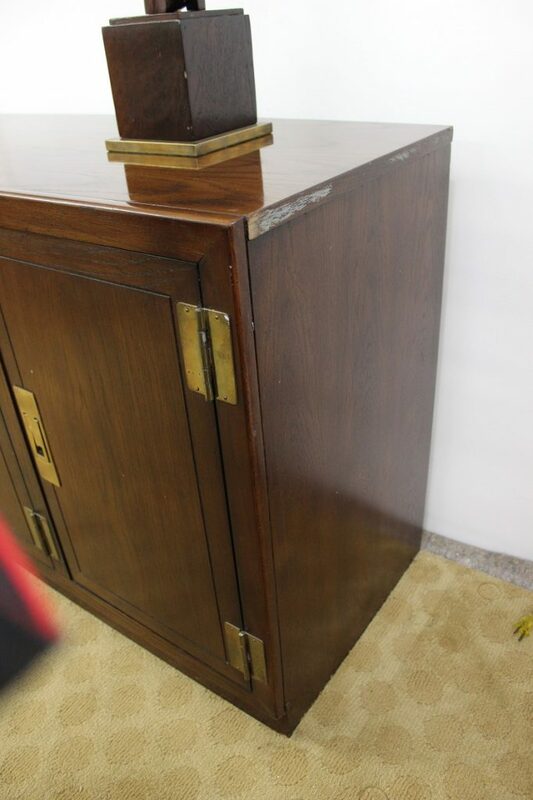 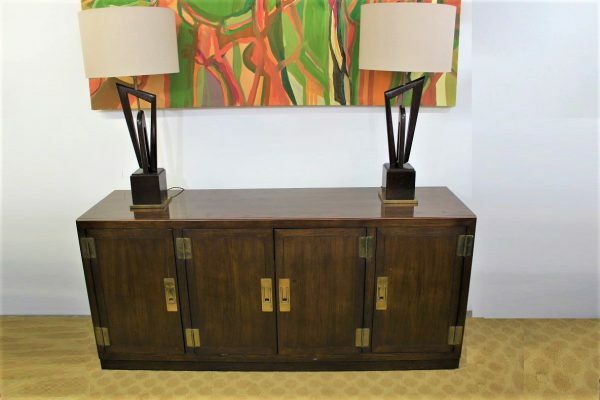 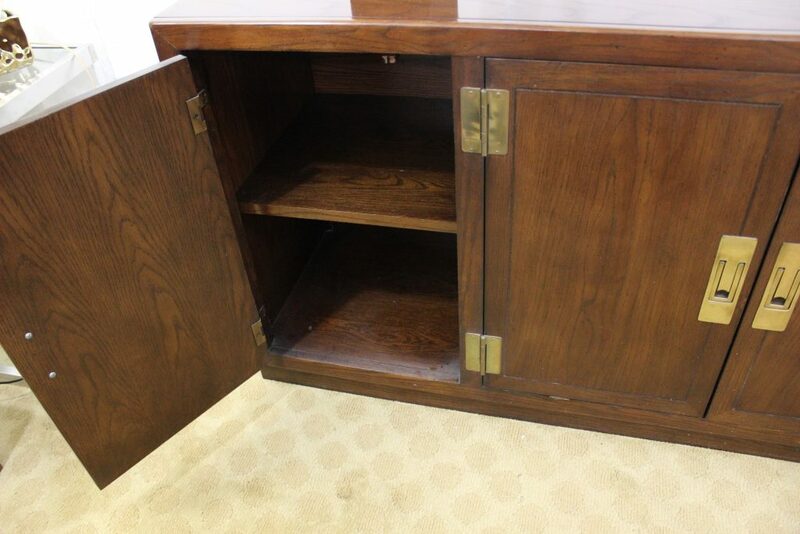 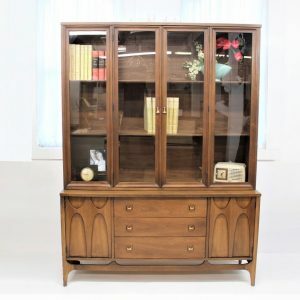 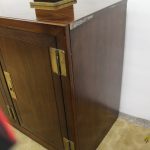 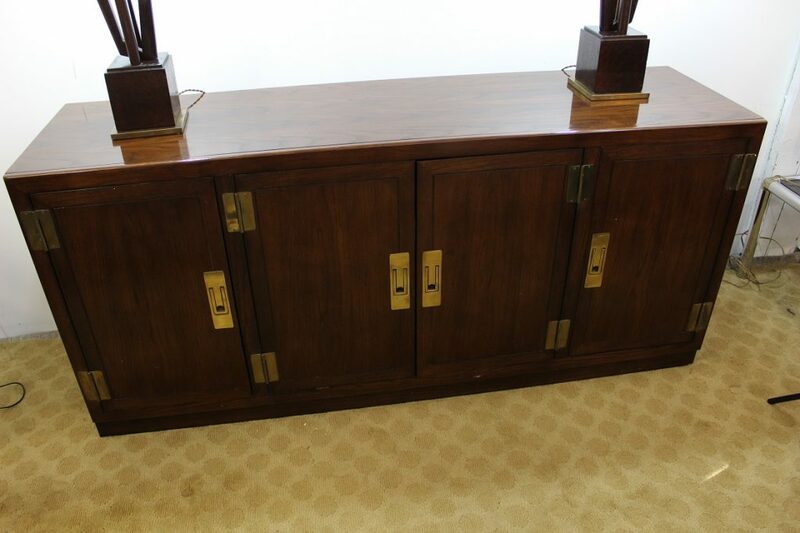 Here for your consideration this beautiful Dixie credenza. 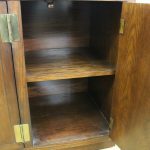 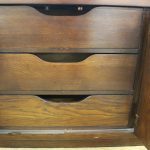 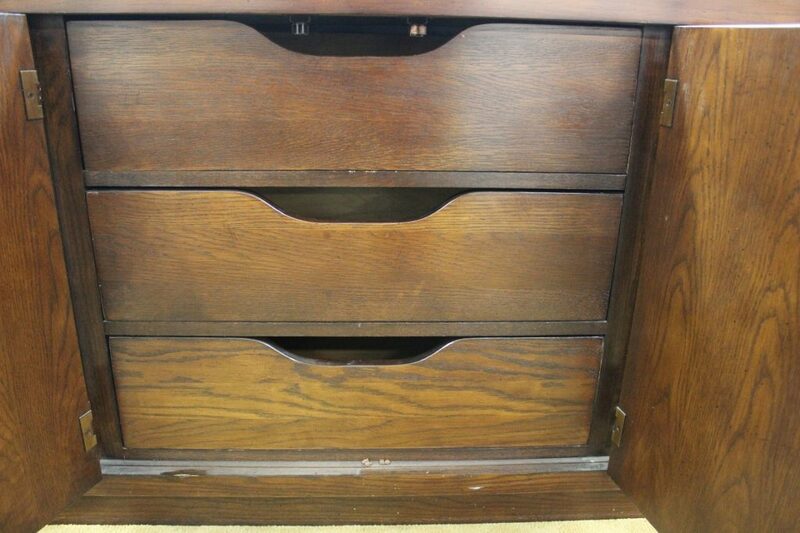 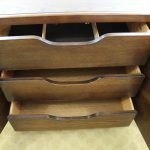 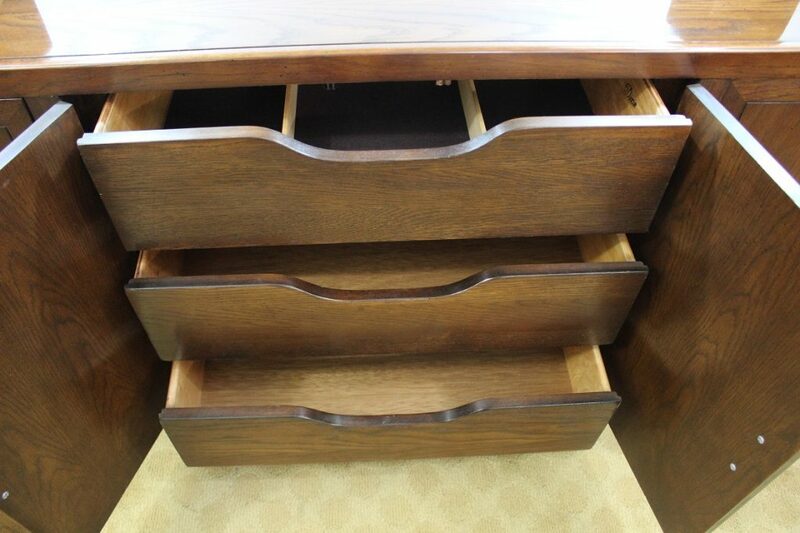 It comes with 3 different compartments, the two on the sides have shelves and the one in the middle has 3 drawers. 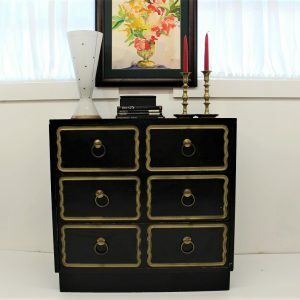 The brass hardware makes the dark colour wood pop even more. 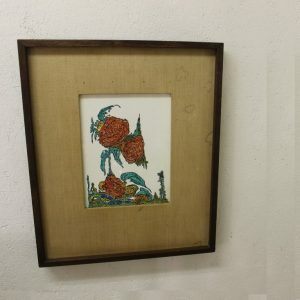 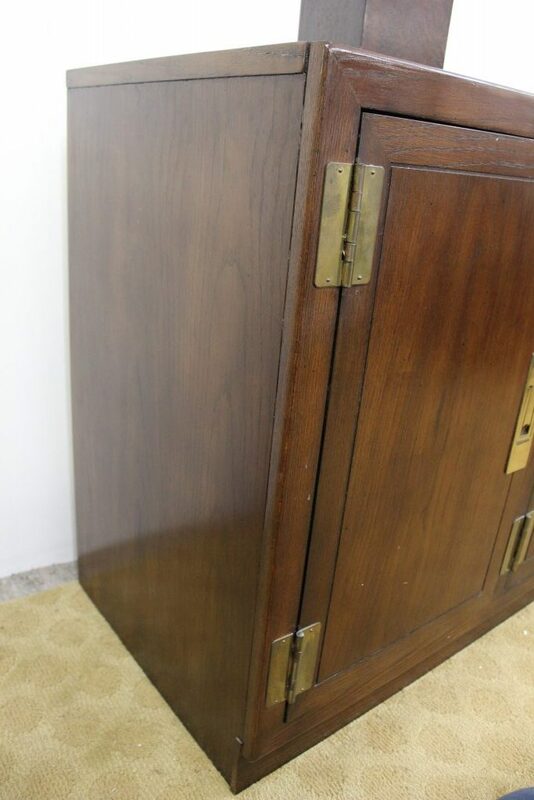 It is in great condition, showing only minor signs of wear with the exception of the paint mark on the right side edge. 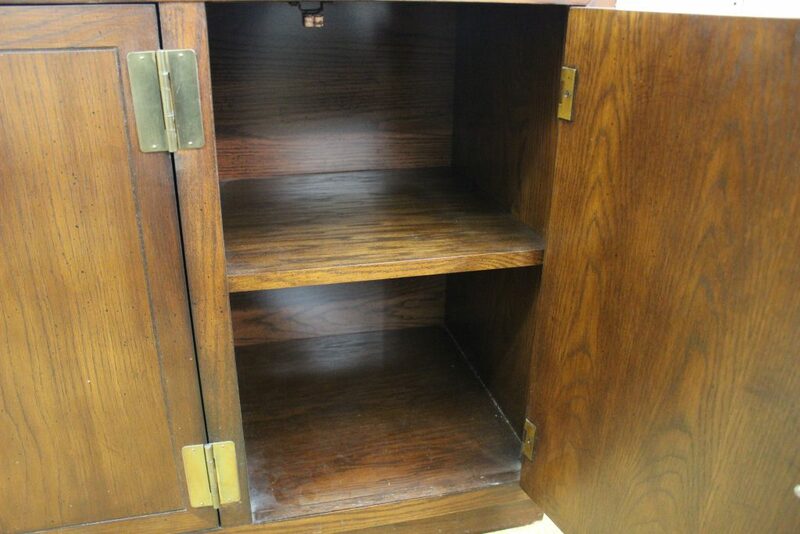 And one nick under the left centre door. 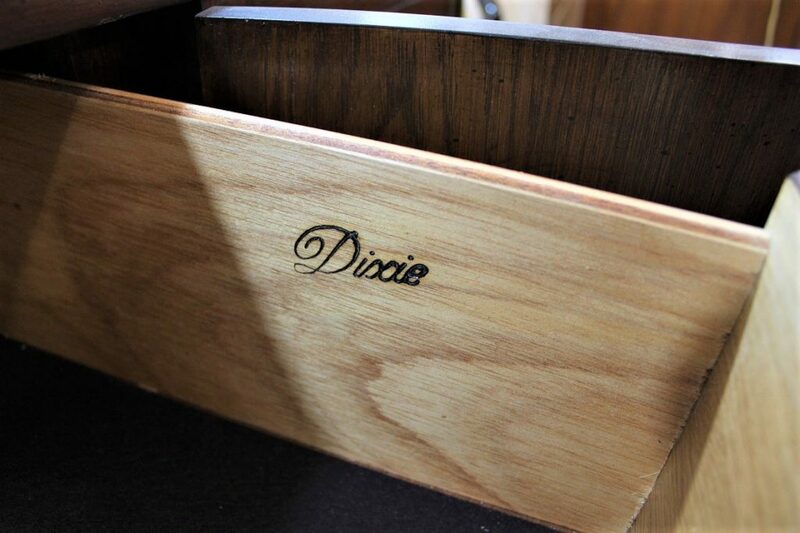 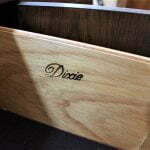 If you don’t know the history of the Dixie Furniture company it started in 1946 by Abe Kirshtein in Charleston North Carolina. 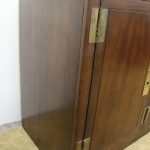 And they are still in business. 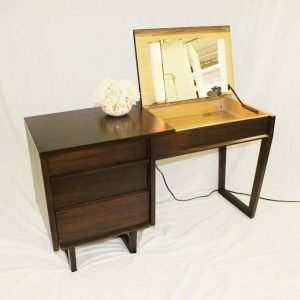 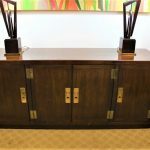 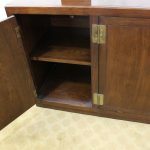 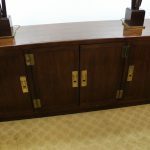 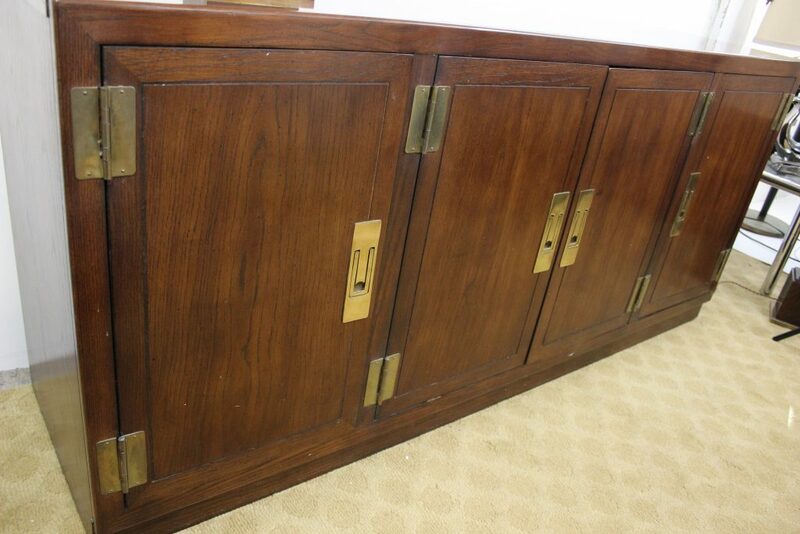 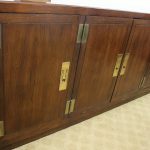 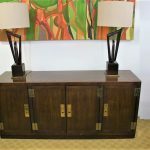 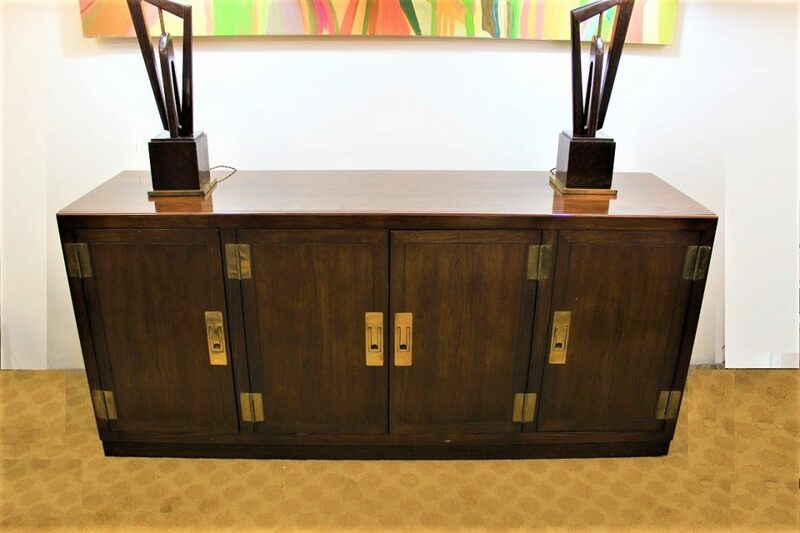 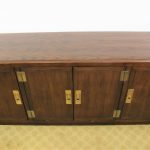 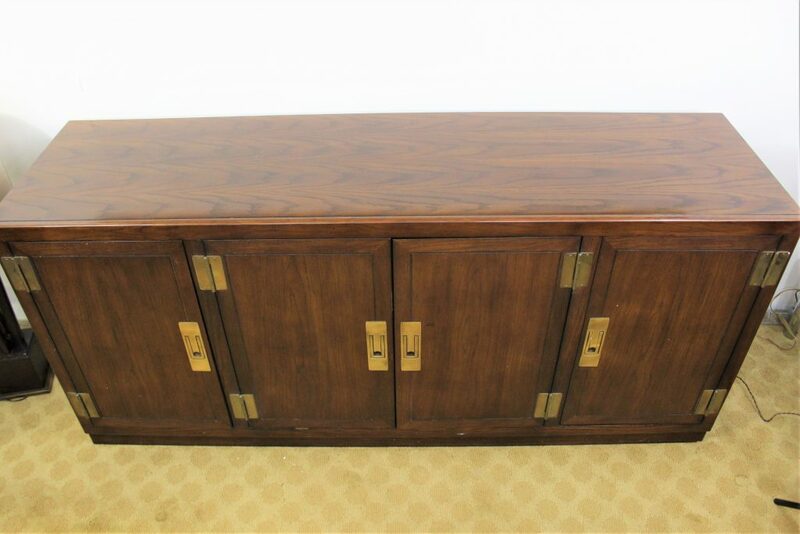 This beautiful Dixie credenza measures 68″ long, 18″ wide and 29″ high.